The Drivesmart Alpha comes with FREE lifetime database updates which can be downloaded here. Before you can update your unit, you will need to download the PC Update software. A new window will open for the Drivesmart Download site. The unit powers up when connected to a PC but not when powered by the cigar lighter power lead. This is usually caused by installing the incorrect update file to your unit. Ensure you have installed the ALPHA update file and not the PRO or PRO EVO / HD. We have also had a few reports of faulty power leads causing this problem, contact us for a replacement. I am getting lots radar alerts from pedestrian crossing monitors and near automatic doors like supermarkets and petrol stations. You have Smart Radar turned Off. You need to scroll through the menu options and turn this on. The same radar bands are used for various movement detection systems and are not limited to speed cameras. 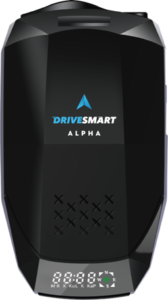 Fortunately unlike our DriveSmart’s competitors the Alpha has a Smart Radar option. 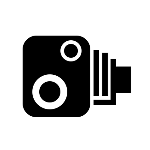 This means that the radar detection is only active at known camera locations to determine if certain camera types are active. This cuts out the false radar alerts mentioned above. Radar is not used as a mobile trap in the UK so this doesn’t reduce your protection.